This is my real life. All the rest is fiction. I wanted to like this one. 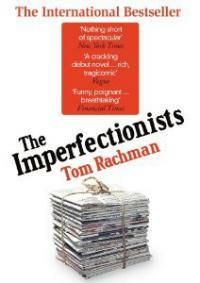 I enjoyed Tom Rachman’s The Imperfectionists (though with some reservations), and as soon as I saw he had a standalone short story out on kindle I snapped it up. Unfortunately, I’m left writing a review of a story that I didn’t hate but didn’t much like either. Already, by the first sentence, I land on the galloping carriage of the story, and the drab locations I inhabit – this ramshackle house with Connie, the subway to the office, my bare cubicle there – dissolve, only black letters cantering across white pages now. This is my real life. All the rest is fiction. The irony is what Tregwynt does in his office, his bare cubicle. He’s a translator in the intelligence community. He is, in a particularly unsexy way, a spy. My work is mostly transcription. Wayne provides digital audio files and I render them into English. As such, I am privy to chatter that few others hear. And it is strikingly dull. Terror suspects, on wiretaps around the world, spend much of their time grumbling: their Internet connections are down again, their fellow cell member forgot to buy yogurt. If this is the enemy, he is cheeringly inept. Doubtless, they have their masterminds stuffed in a cave somewhere, just as we have ours in this concrete complex. Still, I’m starting to wonder if this War on Terror is waged partly between nitwits, theirs hostile to every book in the world but one, while ours – I glimpse Wayne typing a search into the classified military Internet for “awesome videos stuff blowing up” – are only slightly more formidable. Wayne is the narrator’s team leader. Wayne is a petty workplace bully; a player of minor power games who sends the narrator on demeaning errands then keeps him waiting on his return while Wayne taps out an unimportant email or chooses to take a call. I’ve worked with people like that. I suspect most of us have. There is something peculiarly humiliating about hovering not sure whether to stay or go while someone shows their importance by carrying on as if you weren’t present. Those days are behind me now since I’ve become more senior over time, and anyway I don’t work with people like that any more. Tregwynt’s not so lucky. He’s fifty-three years old, reporting to a man much younger than him and who he doesn’t respect at all. Wayne is vulgar and witless and so clueless he uses the name Iceman when ordering in pizza because he’s more in love with the idea of being a spy than actually doing a decent job as one. Then, one day, Wayne notices Tregwynt reading a book, worse yet a book in French. Wayne is incredulous, dismissive, then he forces his own book by some Russian named Krapotnik onto Tregwynt and orders him to read it. Tregwynt is too mild-mannered not to comply , but how bad will a book read by Wayne be? He fears the worst, but what happens next is more terrible than anything he’d dreamt. Wayne’s choice of book is brilliant. How could Wayne have read a book like this? How could someone have appreciated a work this fine, yet remained so foul? I don’t want to share anything with him. Not musical tastes. Not preferences in food. How could he like Krapotnik? I won’t say more about what happens. The story follows Tregwynt and Wayne’s bizarre one-way book club and how it impacts their relationship. It’s well written, as the quotes above hopefully show, and much of it is funny. So, why didn’t I like it then? The ingredients are all here. There’s that ironic contrast between the mundanity of Tregwynt’s existence and job and what we popularly imagine spies to be like (actually, this is exactly what I imagine a spy to be like, but that doesn’t diminish the irony any). There’s that question of how we reconcile discovering that people we despise like things we like (every time David Cameron names another band he likes a legion of left-wing music fans cry – how can he like The Smiths, The Jam, the Manics? Hell, how dare he?). The problem for me was that it never really went anywhere. Rachman’s a natural at the short story form as he showed in The Imperfectionists, but for me this story was all setup and no payoff. I didn’t mind that I didn’t believe in Wayne, he’s meant to be a caricature after all. I did mind that I didn’t care about him or his relationship with Tregwynt. The Imperfectionists was funny (mostly), had great and well drawn characters and lovely little story arcs that intertwined with each other. I thought it had flaws, but I liked it and it’s held up well in memory. Here, well, it’s funny early on but the story has no real arc and the characters weren’t particularly interesting, or rather they were potentially interesting but they didn’t really do anything interesting. Since Rachman is a writer of wit and character rather than of finely wrought artistic prose, not caring about the characters doesn’t leave much else to care about. I don’t necessarily want to put someone off reading this because Rachman has talent and there’s a risk of making it sound terrible when it’s merely not great. Still, if the quotes or the situation grab you then you could certainly do a lot worse, and as it’s a kindle single it’s both short and cheap. I just think he’s written better. Ever since I saw His Girl Friday (easily among my favourite films) I’ve been a sucker for newsroom stories. I think of them in black and white – clacking typewriters, hot metal presses, and a host of other images all of which ceased to be relevant back when I was still in school. What can I say? At heart I’m a romantic. Today of course newspapers are in steep decline. Circulation numbers are plummeting and the competition from new media sources (24 hour rolling news of course, but above all the internet) is fierce. The days of Cary Grant and Rosalind Russell are long behind us. The Imperfectionists is the story of one particular newspaper – a fictional English language daily based in Rome. Think The European (if you remember it) or the International Herald Tribune (where Tom Rachman used to work). It’s not quite either, but it’s in that territory. Over eleven linked short stories (each with a different viewpoint character) and a number of brief intercalary chapters The Imperfectionists tracks the sixty year history of the “newspaper” (it’s never named). Back in the 1950s it was the creation of a rich American named Cyrus Ott who started it as a sort of hobby. In the early years of the 21st Century it struggles to pay its way and the Ott grandchildren wonder what the point of it is. For those who work there though the point is irrelevant. What else would they do? Where else would they fit in? It’s obvious that The Imperfectionists is written by a newspaper insider. Its characters are convincing, it’s affectionate and it’s full of little details that make it easy to see how everything works and how all the fights, compromises, inspiration and desperation all come together so that another deadline is hit and another issue (good or bad) is produced. Lloyd needs cash, but the paper wants stories with bite and he doesn’t have any. He pitches feature pieces, that old excuse for a long article with no news content, but the paper’s not buying. Back in the day Lloyd was a heavy hitter, but like in many industries you’re only as good as your last byline and Lloyd’s not had one of those in a while. I won’t say how the story turns out. It’s funny though and neatly crafted. The same can be said for most of the stories here. What stops it being a short story collection rather than a novel is the strength of the links between them all. Lloyd pops up again. The intercalary chapters show how major a player he used to be in the paper. Other characters feature in their own story, then come up later as supporting parts in somebody else’s. In at least one case you can see a career crash and burn and in another a career take off, both through background asides in later tales. The result is a whole that’s greater than its parts. He draws out the moribund interviewee, confirms the facts he needs, then sits there, pretending to jot notes, stewing in guilt, remarking, ‘Extraordinary!’ and ‘Did you really?’ All the while, he knows how little will make it into print – decades of a person’s life condensed into a few paragraphs, with a final resting place at the bottom of page nine, between Puzzle-Wuzzle and World Weather. There’s a lot that works here. Even little details like starting each chapter with a headline from the newspaper that comes up in that story (kooks with nukes, world’s oldest liar dies aged 126) add to the enjoyment. There is though for me one serious flaw with this novel. Put simply, too many stories end cruelly. I’ve nothing against cruelty in fiction. I don’t expect to sympathise with characters and I don’t care if terrible things happen to them (if they didn’t there’d be a lot fewer books around). Here though the problem becomes a certain predictability. Not all the characters meet twists in their particular tales, but plenty do and the twists are generally vicious. Some hit hard, and I welcome that, but even where they work well there’s just too many. Near the end as yet another character had a nasty comeuppance I found the effect lessened. By then I was expecting bad things to happen to not particularly good people. For me that became a serious flaw in the book. 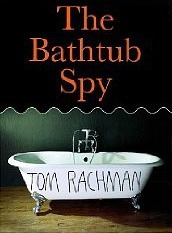 I loved the wit of it, I loved the detail and the way the structure bound together all those personal stories into one wider account of the entire newspaper, but I didn’t love the sense of Rachman playing with his own characters. It’s ironic given my love of noir and existentialist fiction, but at times I found The Imperfectionists simply darker than was really consistent with its general tone. The Imperfectionists is a comic novel with a dark underbelly. That’s not bad territory to be in. I’ll be writing up The Troubles soon (summary: it’s brilliant) and that’s bleak and funny in almost equal proportions and all the better for it. Somehow here though those two elements didn’t gel for me and a novel that in large part I found hugely enjoyable was let down by its penchant for twists that it just didn’t need. Even with that criticism, and I appreciate it’s a serious one, I’m glad to have read this. It’s consistently entertaining, it’s very insightful and given it’s a first novel it’s actually a pretty impressive achievement. It’s flawed, but it’s original too and I’d rather flawed ambition than perfect mediocrity every time. Finally, I have to extend some thanks here to Kevinfromcanada. It was his review, here, which alerted me to this one and it’s a definite find. Kevin’s an old newspaper hand so I strongly encourage anyone reading this to read his own insider’s take on it.